Here, ladies and gentlemen, is our first look at the U.S. version of the HTC ChaCha, known here in the states as the HTC Status on AT&T. 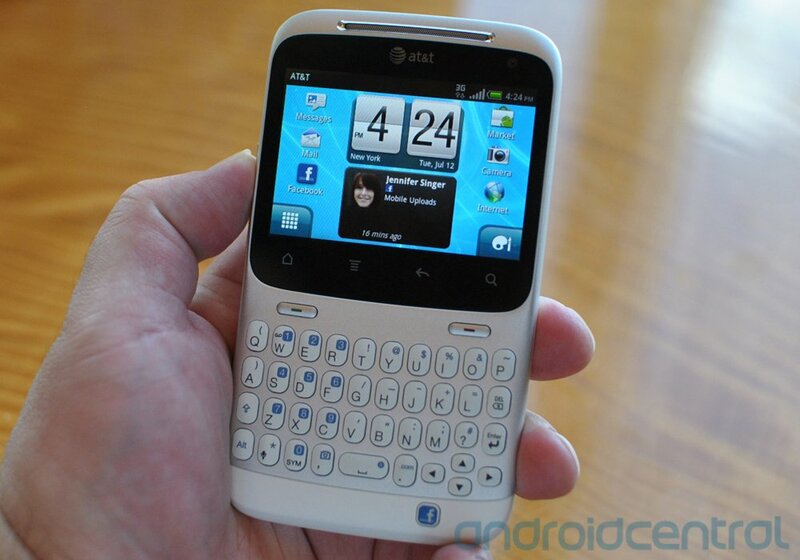 Same as it ever was in Europe (only with proper 3G), a four-row QWERTY keyboard, and that dedicated Facebook button. First impressions? Forgive us, but we're getting a bit nostalgic here. If you're looking to bang out e-mails on an Android phone, this one's going to deserve a look. The keys are to die for. You'll have to get used to the smaller screen, natch, but if gaming's not your thing, you're going to be flying on the Status. The Facebook button's pretty intuitive, too, blinking when there's content to share. But we'd prefer it to be closer to screen. That's where our eyes are looking most of the time, and it's a bit of a stretch down to the bottom of the device. But for now, feast your eyes on more pics after the break.